Test your football knowledge with over 300 funny and fascinating questions about international games. How much do you know about the World Cup - and the world? 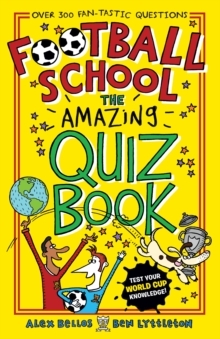 Test yourself and your friends with over 300 brain-busting questions from Football School. Why are England called the Three Lions? What is Lionel Messi's creepy-crawly nickname? Which World Cup player wore a wig? Discover the answers to these questions and much, much more. Packed with hilarious cartoons and fascinating trivia, this spin-off from the bestselling series is the perfect way for fans to learn more about the beautiful game.